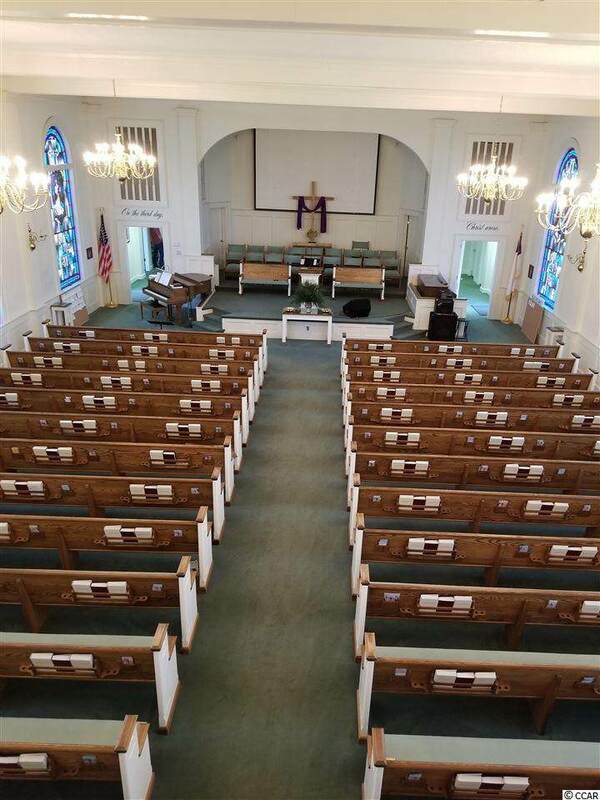 Jamestown Baptist Church is located at the intersection of 9th Avenue and Palmetto Street on the south end of Conway. The entire facility offers approximately 22,000 heated square feet on 3 parcels compiling 3.3 acres. Included in this sale are 3 out of 4 corners at this intersection. 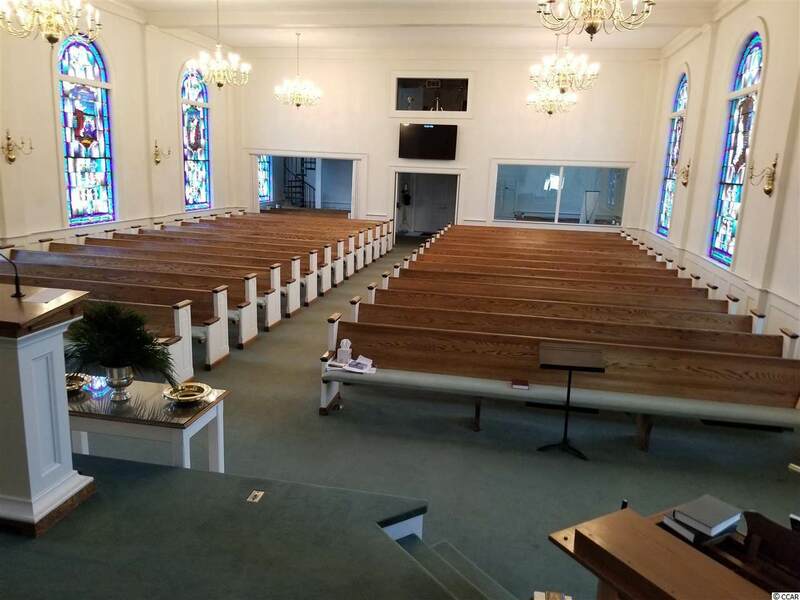 Build-out includes a sanctuary that can accommodate up to 300 people, a large fellowship hall, 20 Sunday school classrooms, and 6 multipurpose rooms. 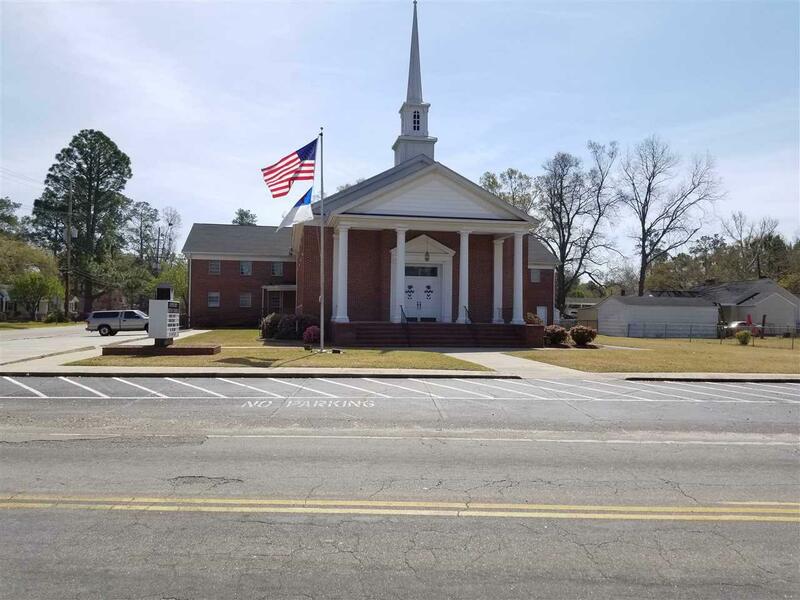 Abundant parking is available, with the church parking lot accessible from Palmetto Street, an additional 34 parking spaces located along 9th Avenue and Palmetto Street, and a 1.63 acre parcel located at on the northwest corner of 9th Avenue and Palmetto Street for overflow. Covered walkways adjacent to a loading/unloading area allow for safe drop off. A playground is located on site and is adjacent to the 800 sq. 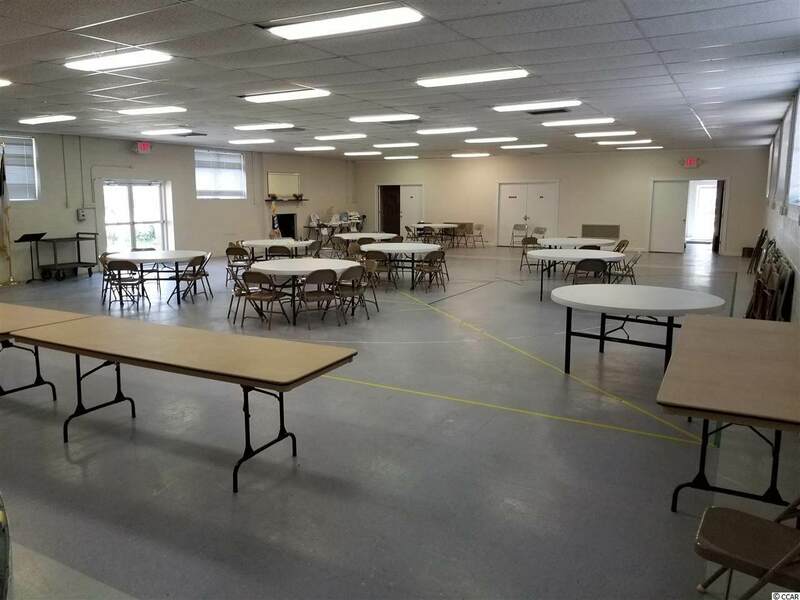 ft. storage building and an open-air pole barn located on Sycamore Street, both convey with this sale.